There are nine full cut, white Diamonds that have a total weight of 0.90ct. 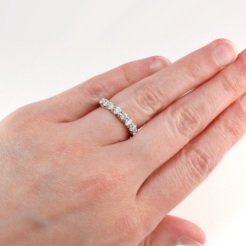 The Diamonds are “H-I” in color and “I-1” in clarity. 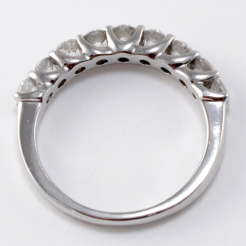 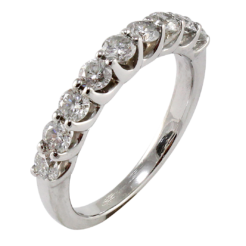 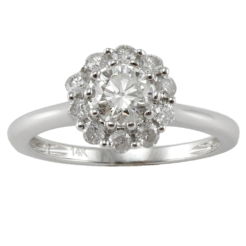 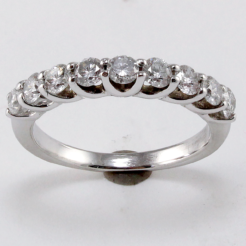 The mounting is made from 14kt white gold and features a simplistic design. 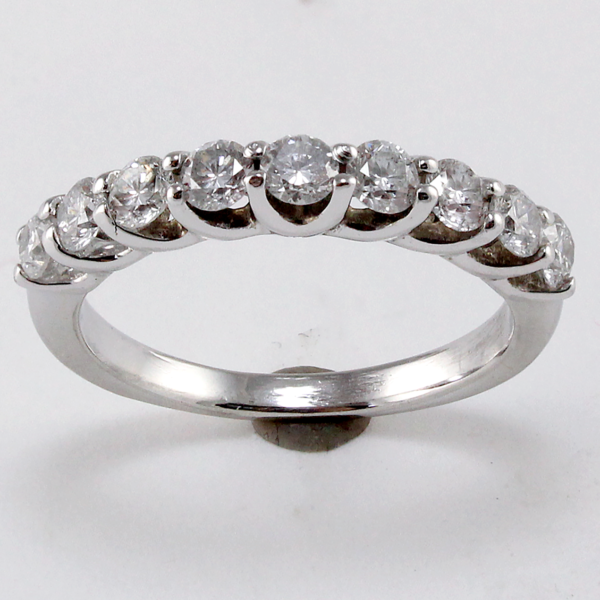 Full cut Diamonds- 0.90ct “H-I” color, “I-1” clarity.